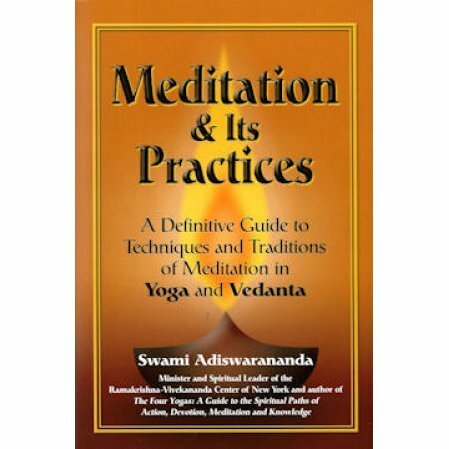 A Definitive Guide to Techniques and Traditions of Meditation in Yoga and Vedanta. Meditation is a subject of universal interest, practiced by spiritual aspirants of many traditions on the quest for serenity, peace, and wholeness. Among the many traditions of meditation in Hinduism, Yoga and Vedanta have passed the test of time, proving as vital today as they were throughout the ages in helping us overcome the maladies of life and attain spiritual fulfillment. The author, Swami Adiswarananda, was a senior monk of the Ramakrishna Order of India and for 39 years until his passing, the Spiritual Leader of the Ramakrishna-Vivekananda Center in New York City. In the book he holistically outlines the subject of meditation and its practices following the methods and teachings of these two traditions. Defining key concepts in clear terms, Swami Adiswarananda covers every aspect of this ancient spiritual practice.